We provided complete architectural services for this two-phase renovation. Phase one and two were fast-track projects that were completed during consecutive summers in order to avoid disruptions for the students and faculty. The spaces were ready for occupancy by the fall semester. Phase one involved structural alterations and replacing the HVAC systems throughout the building. 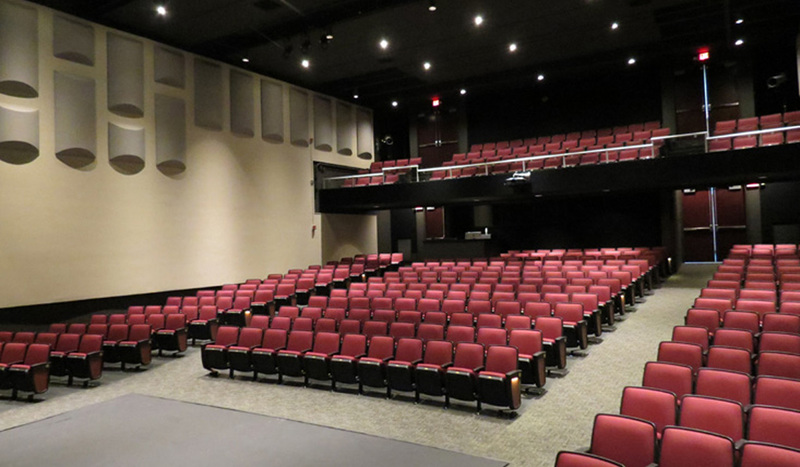 The second phase involved renovation of the auditorium, practice rooms, choir room, restrooms, and main lobby. The extent of the renovations included installation of acoustic treatments, redesigned lighting and sound systems, replacement of theater seating, new flooring, new curtain wall system, new glass railings, selective demolition, patching, painting, new ceiling and lighting, roof work, new doors/hardware, and sprinkler/fire alarm alterations. We also designed work to be performed by the student work force.